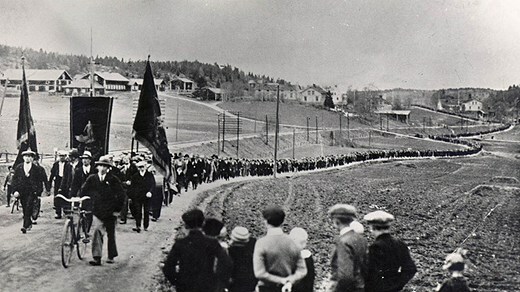 A march in Ådalen, Sweden, in 1931. Neither country is a utopia, as readers of the crime novels by Stieg Larsson, Henning Mankell and Jo Nesbø will know. Critical left-wing authors such as these try to push Sweden and Norway to continue on the path toward more fully just societies. However, as an American activist who first encountered Norway as a student in 1959 and learned some of its language and culture, the achievements I found amazed me. I remember, for example, bicycling for hours through a small industrial city, looking in vain for substandard housing. Sometimes resisting the evidence of my eyes, I made up stories that “accounted for” the differences I saw: “small country,” “homogeneous,” “a value consensus.” I finally gave up imposing my frameworks on these countries and learned the real reason: their own histories. Then I began to learn that the Swedes and Norwegians paid a price for their standards of living through nonviolent struggle. There was a time when Scandinavian workers didn’t expect that the electoral arena could deliver the change they believed in. They realized that, with the 1 percent in charge, electoral “democracy” was stacked against them, so nonviolent direct action was needed to exert the power for change. The Norwegians had a harder time organizing a cohesive people’s movement because Norway’s small population—about three million—was spread out over a territory the size of Britain. People were divided by mountains and fjords, and they spoke regional dialects in isolated valleys. In the nineteenth century, Norway was ruled by Denmark and then by Sweden; in the context of Europe Norwegians were the “country rubes,” of little consequence. Not until 1905 did Norway finally become independent. When workers formed unions in the early 1900s, they generally turned to Marxism, organizing for revolution as well as immediate gains. They were overjoyed by the overthrow of the czar in Russia, and the Norwegian Labor Party joined the Communist International organized by Lenin. Labor didn’t stay long, however. One way in which most Norwegians parted ways with Leninist strategy was on the role of violence: Norwegians wanted to win their revolution through collective nonviolent struggle, along with establishing co-ops and using the electoral arena. In the 1920s strikes increased in intensity. The town of Hammerfest formed a commune in 1921, led by workers councils; the army intervened to crush it. The workers’ response verged toward a national general strike. The employers, backed by the state, beat back that strike, but workers erupted again in the ironworkers’ strike of 1923–24. The Norwegian 1 percent decided not to rely simply on the army; in 1926 they formed a social movement called the Patriotic League, recruiting mainly from the middle class. By the 1930s, the League included as many as 100,000 people for armed protection of strike breakers—this in a country of only 3 million! The Labor Party, in the meantime, opened its membership to anyone, whether or not in a unionized workplace. Middle-class Marxists and some reformers joined the party. Many rural farm workers joined the Labor Party, as well as some small landholders. Labor leadership understood that in a protracted struggle, constant outreach and organizing was needed to a nonviolent campaign. In the midst of the growing polarization, Norway’s workers launched another wave of strikes and boycotts in 1928. The Depression hit bottom in 1931. More people were jobless there than in any other Nordic country. Unlike in the U.S., the Norwegian union movement kept the people thrown out of work as members, even though they couldn’t pay dues. This decision paid off in mass mobilizations. When the employers’ federation locked employees out of the factories to try to force a reduction of wages, the workers fought back with massive demonstrations. Many people then found that their mortgages were in jeopardy. (Sound familiar?) The Depression continued, and farmers were unable to keep up payment on their debts. As turbulence hit the rural sector, crowds gathered nonviolently to prevent the eviction of families from their farms. The Agrarian Party, which included larger farmers and had previously been allied with the Conservative Party, began to distance itself from the 1 percent; some could see that the ability of the few to rule the many was in doubt. By 1935, Norway was on the brink. The Conservative-led government was losing legitimacy daily; the 1 percent became increasingly desperate as militancy grew among workers and farmers. A complete overthrow might be just a couple years away, radical workers thought. However, the misery of the poor became more urgent daily, and the Labor Party felt increasing pressure from its members to alleviate their suffering, which it could do only if it took charge of the government in a compromise agreement with the other side. Labor stepped in, seized the three largest banks, fired the top management, left the stockholders without a dime and refused to bail out any of the smaller banks. The well-purged Norwegian financial sector was not one of those countries that lurched into crisis in 2008; carefully regulated and much of it publicly owned, the sector was solid. Although Norwegians may not tell you about this the first time you meet them, the fact remains that their society’s high level of freedom and broadly-shared prosperity began when workers and farmers, along with middle class allies, waged a nonviolent struggle that empowered the people to govern for the common good. Correction: In an earlier version, Henning Mankell was mistakenly referred to by the name of Kurt Wallender, the protagonist in several of his books. This article was inspiring it scares me to think what is going to happen in America we have more than 3 million it’s going to be a civil war compared to them. USA POPULATION… 300 MILLION PLUS… NORWAY 3 MILLIONS.. USA…THOUSANDS OF ETHNICS GROUPS..NORWAY JUST A COUPLE.. DO THE MATH…WE WILL HAVE A CIVIL WAR..
LRB, maybe you didn’t know this, but on the internet CAPSLOCK is considered shouting, and rude. You might want to avoid it in the future. The idiot was bright enough to leave your “student in 1959” sentence intact, while including a picture of himself at the bottom – where it’s very obvious he’s not over 60 years old. The article at common dreams.org is attributed to George Lakey and says it was originally posted here. Derp. Oh, funny! That was a mistake at Common Dreams. The thief in question is myself. They must have made a mistake because I sent them the email suggesting that they republish Lakey’s piece:) No need to get up in arms. Maybe the 99%’ers ought to lighten up a bit. They should take some time off and celebrate a holiday. I could suggest: BASTILLE DAY. This is one of the best summaries I’ve seen of recent Scandinavian history. Thank you. My own Scandinavian ‘career’ also began in 1959, in Oslo; for many years I’ve now lived in Stockholm. This history is not widely known or understood – how for instance Sweden rocketed from one of the poorest countries in Europe to ‘richest in the world’ in just half a century. One strong factor in Sweden was in fact the restraint of the unions and labour movement, who held back on their more radical expectations in order to get the business sector on board in a spirit of accord. Marilyn, I’d love to read a summary of that, could you point out any good sources of Swedish Labour history? Rachel, look for the Saltsjobaden agreement from 1938. The Saltsjöbaden Agreement (sv. Saltsjöbadsavtalet) is a Swedish labor market treaty signed between the Swedish Trade Union Confederation (sv. Landsorganisationen, LO) and the Swedish Employers Association (sv. Svenska Arbetsgivareföreningen, SAF) on December 20, 1938, that became a model for other agreements. The rules on industrial action has come to be regarded almost as general legal principles of conflicts between the labor market forces. The agreement cemented the Swedish social norm that the two sides shall conclude agreements without interference by government. The agreement is still in effect, with the latest changes being made in 1976. In 2007, the LO, the Council for Negotiation and Co-operation (sv. Privattjänstemannakartellen, PTK) and the Confederation of Swedish Enterprise (a successor organisation to the Swedish Employers Association) began negotiations towards a new agreement at the initiative of the Confederation of Swedish Enterprise. The negotiations, however, were suspended in March 2009. But you have to remember that an important reason for Sweden’s spectacular economic growth was the fact that it was a noncombatant in WWII. No war damage and it made a tidy profit off of its steel industry. (arms industry?) The result was that post-WWII, Sweden, the US, and Switzerland–all without war damage to fix–were able to take off while other countries had to repair infrastructure and deal with the heavy loss of male workforce. So the ideological difference between the US and Sweden is most profound. While both had a head start in industrial production (and both had societies with significant gender discrimination), the difference was that Sweden pursued a social democratic policy based on notions of “equality as solidarity”, while the US parceled out economic favors by race and class. I believe that Lakeoff neglects a decisive factor. The successful struggles took place during the existence of the Soviet Union. Many thing, such as socialized medicine, were possible in those years, in the space between communism and capitalism. It is strange that there is so little discussion of the question of why the working class is in such terrible retreat today. What went wrong? I suggest that the answer lies in the collapse of the Soviet Union. After all, are we to suppose that one of the two superpowers collapsed and this would not have a huge effect on world politics? And BTW, if the Soviet Union were really the “focus of evil in the world”, as suggested by Ronald Reagan, and that system has be eliminated, shouldn’t we expect a more peaceful and good world? Seems that’s not the way things worked out. The danger of a full Soviet-style revolution made a lot of non-socialist people afraid. Whether this perceived threat mellowed the non-socialist parties, or made them more antagonistic varied among parties and from person to person and in differing circumstances. Some Norwegians fought alongside the Nazis to “halt the red menace”. Still, the Norwegian political climate in the 1930s was informed by a hundred years of national liberation struggle, respect for literacy and political debate, and slowly expanding voting-rights over those hundred years. That expansion of voting rights was also hard fought, though less violent. Jean-Jacques Rousseau and Thomas Jefferson and many others deserve credit for the political climate a literate, deliberate, well considered labor movement met in Norway in the 1930s. Also the “1 percent”, if you have to use the term, is WAY different in a small country which had a comparatively short way from top to bottom to begin with. I suspect size is the single biggest difference. A lot of people across the political spectrum knew each other, and quite a few even respected each other. And, yes, the total number of ongoing armed conflicts is declining. Perhaps partly because there is room for covering those conflicts in western media now that the Soviet threat is gone. Sure Sweden is a great country but we still have the same problem as the rest of the world. The representative democracy makes it hard for people to get their voices heard, companies are giving money to politicians and newspapers are not writing about things that does not benefit them (like the Swedish occupy movement). Sweden is a great country but we still have homeless people, social injustice and a society that looks up to the U.S. way of doing business. I’m a part of the Swedish occupy movement and I see that there is a lot to work on. Society is never finished with evolving. No matter how you measure Sweden is always one of the countries with the best income distribution in the world. I think OccupyStockholm is right when he/she say that we (swedes) still have problems but I think it is wrong to compare them with the massive problems facing ordinary Americans. In my opinion one of the biggest problems facing Sweden is our spineless government and palament bending over for the US administration passing laws practically written by the whitehouse lobby and thinking more about the interests of US big business than the wellbeing of the people who elected them. The world needs a strong and fair US government run by the 99 %. The dominance of the 1 % in the US is hurting the whole planet. A nonviolent and peaceful replacement of the current order by a government that can restore the American dream is the best thing that could happen to all the people of the world. Dear Harry Hill. Your comment….. I approve. There is absolutely nothing wrong with someone making money. There is EVERYTHING wrong with using that money to influence politicians and deregulate for your inability to be content with only millions instead of billions. You only need so many solid gold umbrella stands, honest. I think that one of the comment Professor Lakey is making is that with a lot of patience and clever tactical engagement a movement can ultimately break the stranglehold of the “plutocrats,” oligarchs or ruling class. ( The 1% or the .1% according to Krugman –– what have you) The Occupiers here could ultimately nonviolently prevail! I am particularly concerned about this because I have heard feedback from Occupy forums here and there and reactions to Naomi Wolf’s blog on Occupy Wall Street saying that violence is the next option. The more practical and realistic option. As a history major and a perpetual student of violent and non violent revolutions I have serious misgivings about the future of the Occupy movement. What I would like so see happen is a serious study of a humorous and nonviolent takeover with traction… As described in the article. I want Occupiers ( including the smart passionate ones I mingled amongst in Berkeley, signal case my recently graduating daughter) to take heart and stay nonviolent. For the USA, I think things have to get worse before they can get better. I think there’s a critical threshold that needs to be met in the misery index before enough people take to the streets to cause the drastic shift in the society. When the New Deal was passed 1 out of 4 people were out of work. We’re not there yet, but the ground has indeed started to shake. Transparency is the key. When business and governments can open their books and be transparent in their operations, life will change for all. I am so happy to see this article, although it does mean many hard times ahead for the US. I have been honored to be living in Sweden for several years 2005-2007 and have now been working again there on a project for a US company. The people are kind and non-violent. They are humanitarian and they live in a socialistic society where class distinction is not so much an issue. Taxes and human compassion are high. We have yet to learn the value of that in the US. Low taxes for the rich and very low compassion for the poor and middle-class. But the light is starting to shine on the dark works of the greedy rich and in time, along with some pain, perhaps we too can enjoy a life-style like the wonderful Scandinavians. Come read my blog about the principles of modern liberalism in struggle. I’m afraid things will never change in this country until a huge percentage of people are homeless or living in poverty. Americans just have a tough time with working together, cooperating and helping each other. Our form of deregulated capitalism has taught Americans that giving to others somehow enables laziness, that kindness and generosity “harms” people by preventing them from working and struggling to get what they want without any help from anyone else. It’s a system that teaches selfishness and meanness, a system that has to end. It just isn’t sustainable. Very interesting piece as well as the comments. In Canada it seems things are just not bad enough yet. We have a terrible right wing government ramming through legislation to suit oil interests and other Corporate powers that are so clearly now running the show and ruining the social democracy (of sorts) that we used to have. It was an inspiring piece and still I know that now the powers are transnational and it makes it harder for an individual country to step out of the Corporate scheme of hollowing out everything for huge profits for a tiny number of people. However, the Occupy movement is the most hopeful thing that has come along and I strongly support it. Let’s hope the planet can survive until we turn things around. Thanks again, for a great article. Sorry to disappoint you, but as a Norwegian historian I have to modify the story somewhat. Both Norway and Sweden have been rich for centuries by our way of measuring wealth (but maybe not by feudal measurements), although Norway was in a slump around 1880-1930, due to late adoption of steam ships, modern indstry and loss of forestry industries. The 1% never died, in Norway as shipping magnates, in Sweden as industrial magnates. Norway became independent and a democracy in 1814, not 1905, but had a shared king with Sweden until 1905, mostly like Canda, Australia and the UK today – US revolution being one of the strong influences (flag colours were chosen to be like the US and French). What is true, is that the 99% is more equally distributed than most countries, there is a system and theory called wage compression and a high level of negotiated interest and compromise. Norway has conncetions to the cabal. also destroyed other countrys because of our oil. as a highly awaken soul. that has been at several meetings with the bilderbergergroup. this article telleing the truth. Thanks so much for letting us know! We just added a link to this to the “pick-ups” feature right at the end of the post. We surelly will return here often to read and translate your work. Kind regards! STUDENTS of non-violent social, political and economic revolutions know the movements require designated, dedicated leadership, set goals and a commitment to non-violence for a chance to succeed. The Occupy movement across the U.S. started out well, but the inability and at times unwillingness to agree on a leader or even the need for one, and the inclusiveness of groups and organizations that distracted from the primary goals of the Occupy movement have diminished their chances of ever achieving their goals or of even influencing the 2012 elections. Maybe the Spring will bring a revival of Occupy, plans are already underway in cities across the country for camps to be re-established. Occupiers and their supporters need to seize the opportunities now to coordinate with the unemployed, unions, homeowners facing foreclosure and Progressive politicians to focus the American electorate on the main problem facing our nation; it is still the economy, stupid! Unemployment, home foreclosures and financial regulation, income inequality, tax inequality, corporate welfare, the social contract and decreased funding of the social safety net are all connected and how these issues are presented to American voters will determine if we continue our descent to Third World status or begin the restoration of the American Dream. What exactly is “The American Dream”? (apart from a student essay question obviously). The phrase resonates down decades and around the world. Does it mainly comprise unrestricted possessive individualism, consumption, human and planetary exploitation, military invincibility etc. endlessly trying to re-brand as something noble, altruistic and worthy of imitation and aspiration? Or are there really some good bits that can still be retrieved? As my family was here already when the American Dream nonsense was created, it is nonsense to use this term, and is done to distract from reality into a living trance state of a automaton. This sentence from the article begs to be explained: “to the point that majority ownership of all large firms was taken by the public interest. ” Isn’t this a key part of social organization, if true? It is great to see that it is possible to win this fight. I think that times of crisis are always also times of change and I want to believe that this time it will be change to better world. It is sad that science is evolving so fast, while society is still pretty much the same as hundreds years before. The difference between them and the United States is that they were all civilized white people. That, sadly, is not the case here. The one key factor not discussing is we don’t have the same the history as Sweden or Norway, or Europe for that matter. We never had the noble classes in America. Land ownership was always high amongst Americans because we had so much of it and never had the aristocracy to take it through war. Our land ownership laws were wide open very early. We never had a peasant class or any of that. So it shouldn’t be surprising that Americans will not evolve in a similar fashion to Europe who had to work their way out of a massive class-based system. The problems in America started after industrialization when machines allowed a small number of folk to control a very large percentage of the means of production. It continues on today with corporations. You basically have political groups in America touting the time of early American capitalism as an example of how modern capitalism works, but that isn’t the case. Capitalism originally was interested in each man owning a business or a means of producing something to buy and sell on the market. One man might become a local blacksmith. Another might run a local paper. Another might run a store. Another might run a bar. This was the way of early American capitalism. That was an ideal time. We had lots of space to build new towns and create opportunities for an individual to own a business and prosper, without becoming so wealthy as to control entire areas of the world. Then the rise of factories and corporations occurred during industrialization. 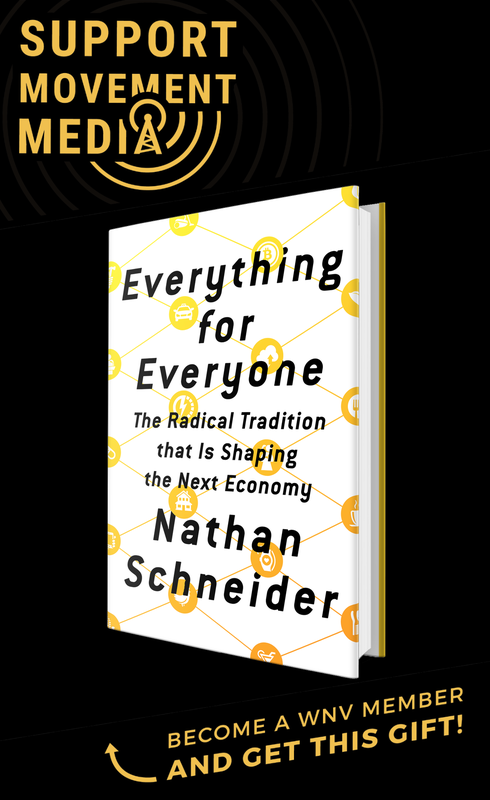 The ability to dominate entire markets with improved communication and transportation allowed a small number of people to accumulate property and resources far in excess of common folk. They government at the time had little means to stop this type of behavior and had to create organizations capable of doing so. America is at the point now where they have to accept that unions are necessary. The entire idea that any individual that doesn’t own a business has power over his job value is false. Corporations employ thousands to tens of thousands of people. They place value on a job according to scales rather than individual merit. They may say a call center worker will have a salary range of 32,000 to 39,000 with such and such benefits. They will use this scale for every individual that is a call center worker whether they are the top worker, middle of the pack, or bottom. How is this any different from a union? If a corporation can influence 1000s of jobs due to their scale, then why shouldn’t a group of workers in a given profession use their aggregate power to influence their wage levels and benefits? Isn’t that the only way to fight back against organizations the size and scope of corporations or governments? I would love a return to mom and pop, individual capitalism. That was a great time to live in America when you could find a tract of land, work the land free from government harassment, enjoy being in a community of similar minded folk, and live free as was intended. But that time has passed, we live in a massive industrialized society that requires competition from competing groups to maintain the balance or power. One man trying to stand up to a corporation is doomed, but a thousand men stand a chance. I’m not at all for attacking the wealthy like they are some malevolent force. The majority of them are merely human beings like everyone else that have gained wealth within the American business system for a variety of reasons. They have given us a great deal. Don’t even try to tell me these over-socialized systems would give us access to things like the personal computer, the vast number of foods available to us, cell phones, the variety of cars we have, the variety of restaurants, and the like. Don’t try to sell me on some egalitarian state of living where we all walk around in the same clothes not wanting for these amenities and items that improve our life. We like them. We always want them. That means encouraging people to create business and rewarding them for doing so. But at the same time, we do need to create a different partnership. The old one isn’t working because the scope and scale of the economy has changed. It does those building businesses no good to pauper the people within their society. It benefits them to have a educated workforce, a healthy workforce, and a workforce with enough income to invest in their ideas whether as a consumer or an investor. That’s where our focus as Americans should be. Keeping those qualities of our capitalist society which are beneficial, while creating an environment where can all prosper even if not everyone is concerned with becoming as wealthy as possible. We can get it done as Americans. We are a free people. We do not hate wealthy folk nor consider them the enemy. They are our fellow Americans and if we approach this situation with that attitude, we’ll get this worked out so as to benefit all. Never forget that many of our wealthy became so by virtue of their own work and it is a fundamental benefit of our society that you can rise from poor to wealthy. There are no American kings or nobles or peasants or indentured servants like Russia and Europe dealt with. So let’s make sure we keep that in mind on both sides. Americans talking with Americans. I elaborate more on the Norwegian case in my column, “Did the Norwegians have a revolution?” May 15, 2012. You also may be interested in my column on the Icelanders, June 5, 2012. After returning from Norway on my most recent trip I wrote this column, “Is Revolution on the Way?” published August 6, 2012. Everyone wants the best deal when it comes to buying a car. Many people are unaware of what is required of them if they are going to get that job done. Some people even think they got the best deal when they actually are mistaken. about finding the best deals. No. You are over glorifying both Norway and Sweden. Norway : Norway is an oil producing country and is not part of the EU thus doesn’t have to worry about the debt of other countries. The anti Fascist resistance in Norway during WWIIwas anything but non violent and justifiably so. I spent time in Norway and married a Norwegian woman. It’s a beautiful country with nice people but lacks the vitality of the US. However it’s soo boring. After a month there I couldn’t wait to get down to Berlin/Paris. Sweden : They did not fight World War II but were part of the Nazi war machine instead in providing them with much needed iron ore. The Swedes made a bundle. I’m not passing judgement here but that’s history. The Swedes benefited. These are both civilized but cold, uninspiring places. And both will be facing severe demographic problems in the future. It’s capitalism that harnesses human greed into a social beneficial force. Yes the rich are richer but the poor are less poor and the middle class is richer. Today ” Occupiers” can still sponge off their parents and march with expensive I Phones. Remember too the the US is still the breadbasket of the world without which there would be much greater malnutrition. 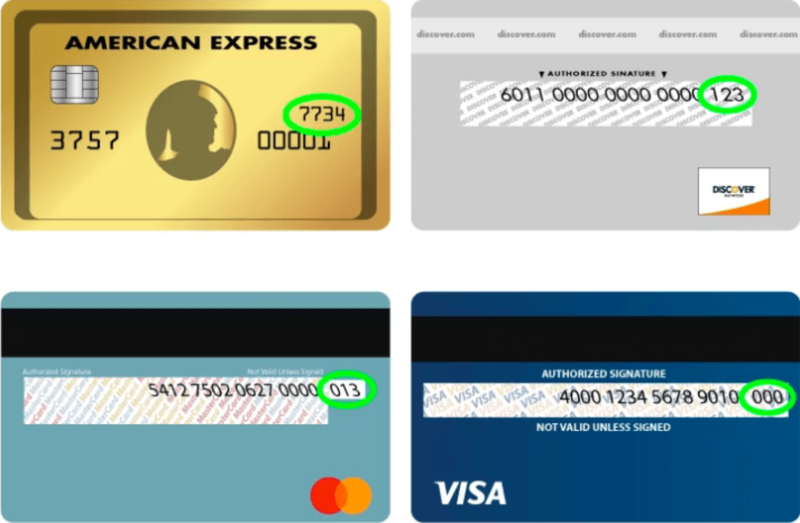 I FIND THE ARTICLE VERY HELPFUL AND PERHAPS USEFUL IN THE USA.